Curated by Lebanese video artist Akram Zaatari, and originally presented by the Internationale Kurzfilmtage Oberhausen, Radical Closure features works produced in response to situations of physical or ideological closure resulting from war and territorial conflicts. The program looks at what is known as the Middle East, and how the moving image has functioned throughout its history, charged with division, political tension, and mobilization. This 5-DVD box set has an accompanying monograph with curator’s essay, and features important work by 24 artists including Guy Ben-Ner, Harun Farocki, Mona Hatoum, Walid Raad, and Elia Suleiman. 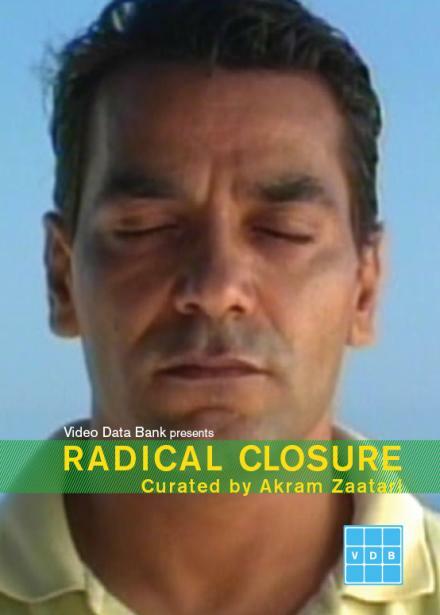 Many of the titles on Radical Closure are being made available to educational audiences for the first time. Originally presented at Internationale Kurzfilmtage Oberhausen.